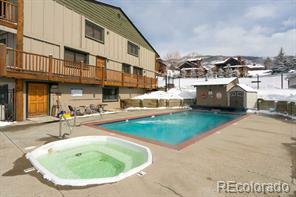 Located just minutes to the world-class Steamboat Ski Area and 3 miles from downtown Steamboat Springs, this spacious one-half duplex offers a great location and room for all. Featuring over 3400 sq.ft. 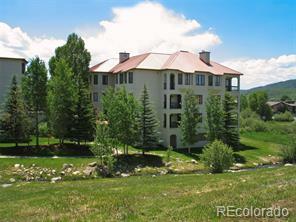 of living space including three bedrooms (all upstairs), 2 ½ baths with a loft/office area plus a wonderful spacious deck off of the living room with winter views of the Steamboat Ski area. Radiant floor heat, beautiful oak floors and tons of natural light. 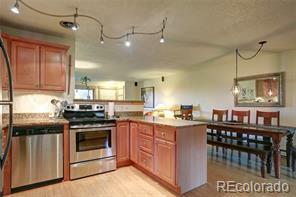 Downstairs has a large family/game room with pool and ping pong tables and stub for additional bathroom, if needed. The generous master suite has two walk-in closets, double sinks, a jetted tub and separate shower - even a private covered deck to enjoy the views to the Flat Tops. A two-car garage, irrigated yard for the mature landscaping and a welcoming neighborhood make this the ideal choice for a primary residence or second home.